People have long been masters of handicrafts, a skill that can largely be attributed to the help of our eyes. Meanwhile, robots are still working on catching up. 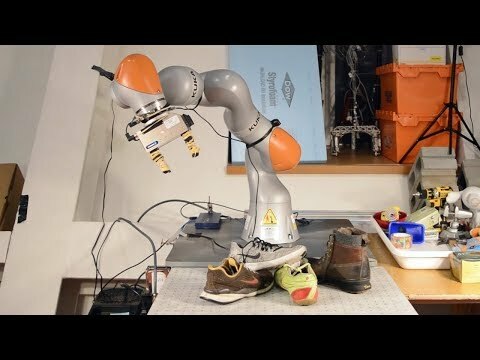 The system, called Dense Object Nets (DON), developed by researchers from MIT's Computer Science and Artificial Intelligence Laboratory (CSAIL), allows a robot to inspect random objects and understand them visually enough to perform specific tasks without ever having seen them before (self learning). The system, called Dense Object Nets (DON), developed by MIT researchers, allows a robot to inspect random objects and understand them visually enough (self learning). The groundbreaking CSAIL system suggests that robots can one day see well enough to be useful in people's homes and offices.The computer vision system views objects as collections of points that serve as a kind of visual roadmap. With this approach, robots can better recognize and understand objects. It even allows them to pick up a specific object among a mess of similar objects, which is already a valuable skill for the kind of machines that companies like Amazon and Walmart use in their warehouses. In the future, the team hopes to improve the system so that it can perform specific tasks with a better understanding of its objects and environment, such as learning to grab an object and move it with the ultimate goal of, for example, cleaning a desk.